LNG Forecaster is Drewry’s detailed quarterly appraisal of the LNG trade and shipping market. It provides a clear picture of the current market, addresses forthcoming sector specific ’horizon’ issues and their impacts on future market growth, and forward-looking analysis on the current trends and developments globally. 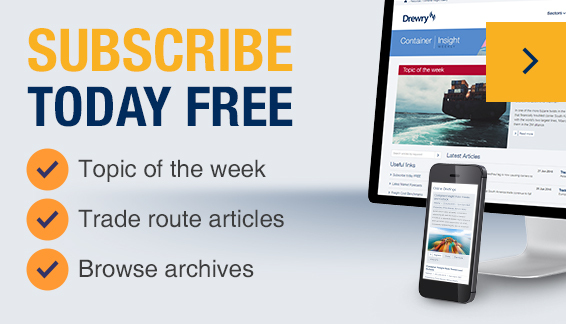 LNG Forecaster subscribers benefit from 12 months’ access to Drewry’s LNG One World online platform, providing up-to-date news, editorial analysis and a wealth of statistical data and intelligence on all aspect of the LNG sector. All quarterly report updates are accompanied by tables and charts in MS Excel format. This Forecaster annual subscription package now includes FREE Monthly Supplements. Every quarter, Drewry’s LNG Forecaster delivers a wealth of market intelligence on the global natural gas market, LNG trade and shipping sector. It gives a comprehensive insight into LNG trade, freight rates, spot rates and time charter rates. Fleet developments are covered in detail, with extensive regional trade statistics covering LNG import volumes including its pricing per country of imports. The chapter covers topical overview of the market, with special focus section to address key issues, trends and recent events in the LNG market. This is followed by a series of sections covering various aspects of global LNG trade and shipping market. Comprehensive analysis of competing fuel prices including natural gas, oil, coal, LPG and LNG prices per country of imports. In-depth assessment of the LNG fleet development in terms of the in-service fleet, orderbook, deliveries, new orders, demolition with forward-outlook and synopsis of the fleet capacity supply into the market up to 2019. It further examines key areas such as LNG shipping economics such as freight rates, spot, short- and long-term charter rates and asset prices developments in the market. Global LNG liquefaction plants and regasification terminals, existing, under-construction, new start-up, planned and proposed projects regionally. It gives a comprehensive view on the expected LNG production capacity development per region up to 2020. LNG Forecaster subscriptions include 12 months’ access to Drewry’s LNG One World online platform. LNG One World provides up-to-date news, editorial analysis and a wealth of statistical data and intelligence on all aspect of the LNG sector.